The 2015 Chrysler 200 mid-size sedan is a good-looking, comfortable, and modern entry in a very competitive segment of the car market. Part of the Fiat-led product renaissance at Chrysler, it replaces the grim, dated previous 200 derived from the old Sebring and largely relegated to car-rental fleets. The 200 for 2015 has a pair of engine options, as well as available all-wheel drive. But we wanted to test the smaller, four-cylinder engine option to see how it matched up to its EPA fuel-efficiency ratings. 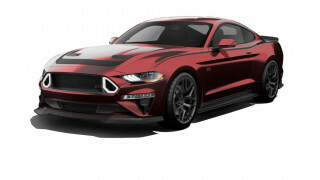 The 184-horsepower 2.4-liter four is paired with a new nine-speed automatic transmission to drive the front wheels; if you want all-wheel drive, you have to get the larger and less-efficient 295-hp 3.6-liter V-6 engine. The four is rated at 28 mpg combined (23 mpg city, 36 mpg combined). That's far from the top of the segment--and unlike mid-size sedans from Toyota, Honda, Hyundai, Kia, and other makers, the Chrysler 200 offers no hybrid, diesel, or "Eco" high-mileage model. In 420 miles of driving, our Chrysler 200C averaged 28.5 mpg, according to its built-in trip computer. That's pretty much on the nose for the combined EPA rating, but our trip was about two-thirds highway miles--where the high ninth gear of its transmission should be exceptionally fuel-efficient--and only one-third city and suburban stop-and-go and lower-speed driving. That makes us rather wonder whether a four-cylinder Chrysler 200 used for more local duties might only reach the low or mid 20s. In any event, the 200 seems to be fairly rated--though, as always, your mileage may vary. Broadly, we liked the 200, which is doing fairly well in the market. The company now sells more than 100,000 of the cars a year, and sold 14,300 in November alone--a sign that the market likes what it sees in this critically important new entry for Chrysler. 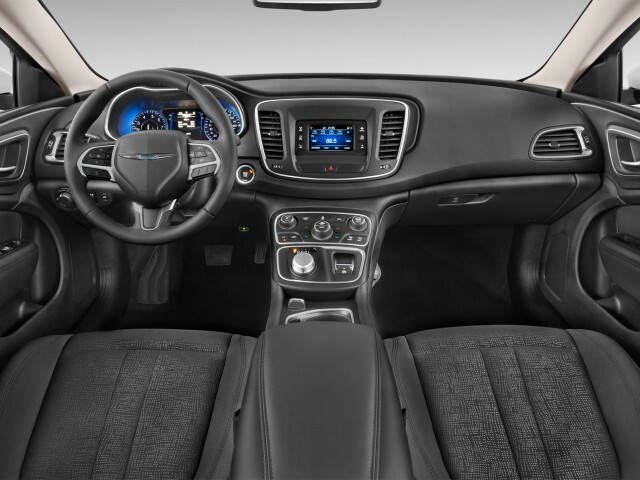 Stylish, comfortable, and offered with a generous array of standard and optional features at competitive prices, the Chrysler 200 is let down by two fundamental issues. One's fixable, one's not. The unfixable one is its lack of rear seat room. While it's a considerably bigger and wider car than the Dodge Dart sedan with which it shares some underpinnings, the mid-size 200 has less than 10 cubic feet more volume than the compact Dart. That deficit falls mostly on the rear-seat passengers, who simply don't have as much legroom or headroom as their counterparts in the more spacious Toyota Camry, Honda Accord, or Subaru Legacy. 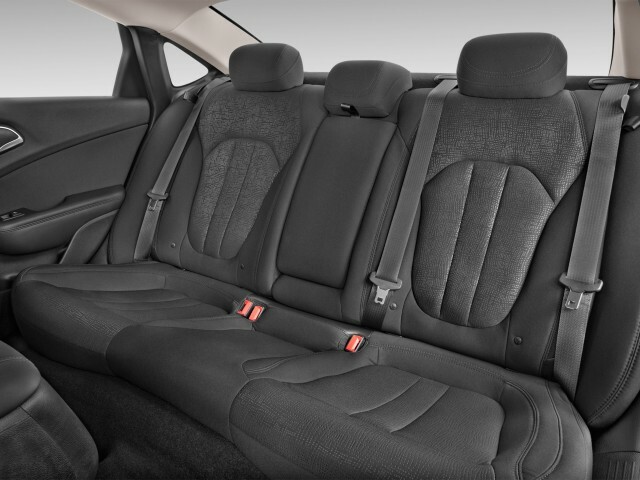 It may be that mid-size sedans are mostly occupied by one or two people, but back-seat occupants will have to bargain with those in the front simply to get enough room for their legs. When the 200's front seats are pushed all the way back on their tracks, it's almost impossible to enter the rear compartment if the front seat-backs are reclined for taller drivers. Chrysler should be able to fix the other problem with the 200, though--one that's been commented on by reviewers for almost a year now. That's the odd behavior of its nine-speed automatic transmission. On our four-cylinder 200, the transmission occasionally slurred its shifts, feeling for a moment as though it was slipping--but at other times, it was startlingly grabby, producing a lurch in the powertrain. It also sometimes hesitated unpredictably before downshifting, then moving through several gears. None of these symptoms occurred either regularly or predictably, but they recurred throughout our four-day test. And we're far from the only outlet to mention this problem. Chrysler's aware of the issue; it has reprogrammed the control software for its transmissions a few times on different vehicles. We hope Chrysler continues to hammer away at the mix of issues that produce the strange transmission behavior. If they're resolved, only its rear compartment prevents the Chrysler 200 from giving the company a truly strong mid-size sedan competitor for the first time in more than 10 years. On the road, the 200's powertrain control software is heavily biased toward lower revs, keeping the engine at 1500 rpm under most circumstances. That means the 200 must ratchet down several ratios to produce maximum acceleration when needed--one of the inherent challenges of fuel-efficient automatics with many more gears. 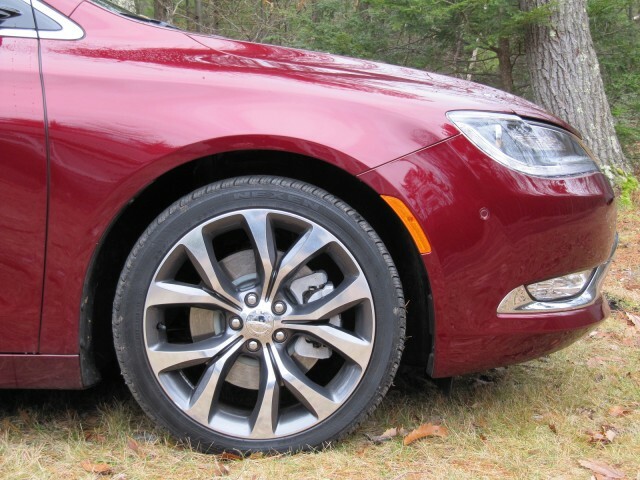 Unfortunately the ride on our test car, fitted with large 19-inch wheels with low-profile tires, was noticeably harsher than that of an all-wheel-drive Chrysler 200 we drove earlier this year, which had taller sidewalls on 18-inch all-weather tires. The front seats were comfortable and supremely adjustable, though with some of the most aggressive (adjustable) lumbar support we've experienced. We could have used another inch or two of telescoping adjustment for the steering wheel, though. We found Chrysler's optional electronic safety systems effective and well-designed. The adaptive cruise is among the smoothest we've experienced outside of German luxury cars; it's well-modulated and begins to accelerate as soon as the driver signals for overtaking a car ahead. The lane-correction system is also well-modulated, with a gentle tug on the steering wheel, though like many such systems without actual lane-centering, it can ping-pong from lane markers on one side to those on the other if the driver's not paying attention. The interior, with optional leather seats and two-tone trim plus wood accents, was pleasant and handsome--and Chrysler's minor controls are among the best in the category. 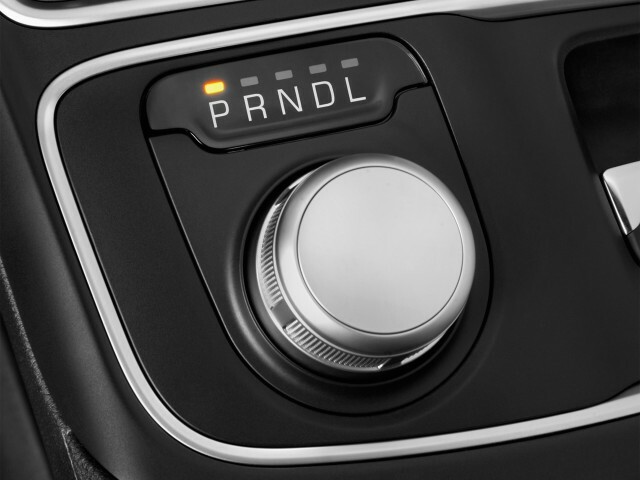 The rotary transmission knob frees up console space, and Chrysler smartly includes knobs as well for the predictable functions that drivers and passengers want: radio volume and tuning, and heating and air-conditioning as well. The audio functions can be controlled from the steering wheel as well--but sometimes rotary knobs are simply the best way to do it quickly and intuitively. Between its minor controls--knobs on the console plus switches on the steering wheel--and its intuitive touchscreen displays, in fact, we felt the Chrysler 200 may have had the best and most easily learned controls of the several dozen cars we drove last year. 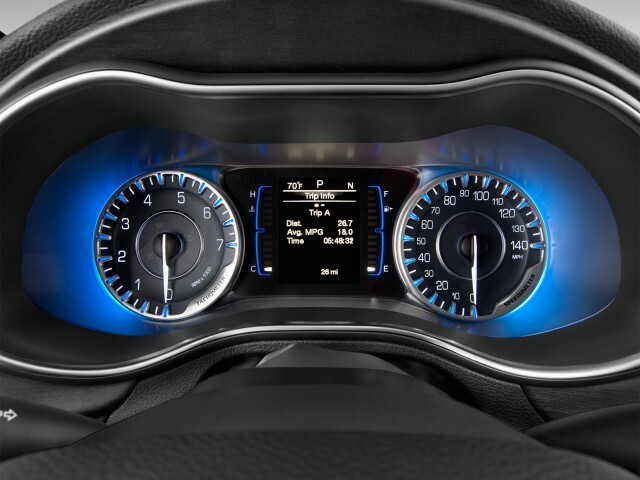 Our only complaint with the electronics was that the system was very slow to toggle through the various vehicle information screens on the display between the two blue-lit instruments in the cluster ahead of the driver. 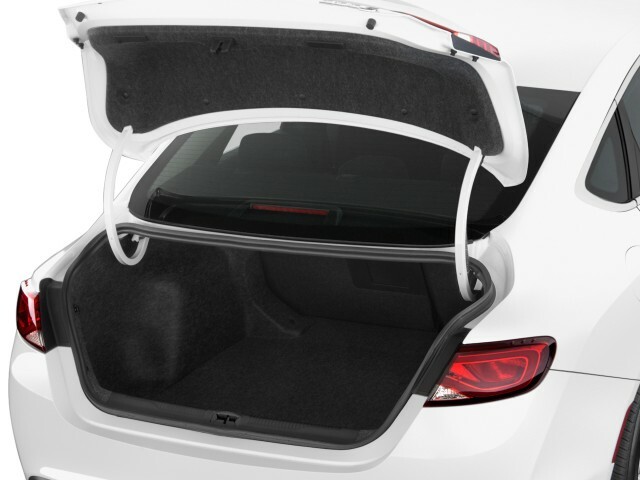 There's lots of storage inside, including a tray under the console, a large bin under the central elbow rest, and a second bin under a very clever sliding cupholder tray as well. 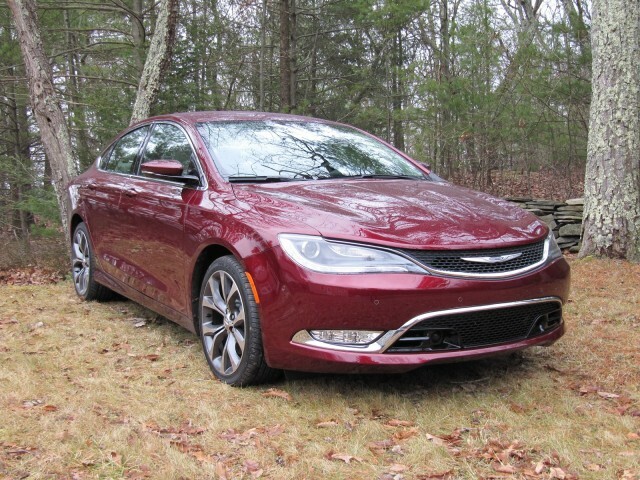 Our test car, a 2015 Chrysler 200C, came with a base sticker price of $26,225. That price includes a standard rear-view camera, remote starting, automatic dual-zone climate control, a Uconnect infotainment system with display screen, and various other features. On top of that, it had five separate option packages totaling almost $5,500. The Navigation and Sound Group I bundle, at $1,395, includes navigation, an 8.4-inch color touchscreen display, and a Harman AM-FM-SiriusXM-HD nine-speaker audio system with Bluetooth connectivity. The $1,295 Safety Tec package includes adaptive cruise control, forward-collision warning, Lane Departure Warning with Lane-Keeping Assist, blind-spot and cross-path vehicle detection, rain-sensitive wipers, automatic high-beam control, and more. A Premium Group, at $995, added leather seats--ventilated in the front--along with "luxury door trim panels," memory settings for the mirrors, seats, and radio, a heated steering wheel (which worked very nicely) with two-tone leather trim, and real wood accents inside the passenger compartment. A second $995 package got us the stylish 19-inch polished aluminum wheels, with the slightly puzzling addition of "Heavy-Duty Anti-Lock 4-Wheel Disc Brakes". Finally, a $795 Premium Lighting Group added high-intensity discharge headlamps, LED front running lights and fog lamps. With the mandatory $995 destination charge, the bottom line on our four-cylinder, front-wheel-drive Chrysler 200 was $32,695.